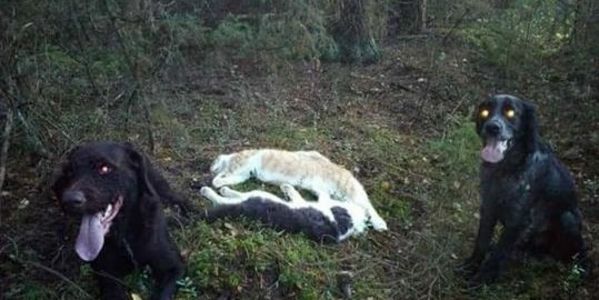 petition: Finland: Shooting neighbour's cats to train hunting dogs is just wrong! Finland: Shooting neighbour's cats to train hunting dogs is just wrong! Member of local hunter's association posted on Facebook how he trained his hunting dogs by killing neighbour's cats and even made "funny" remarks about it. Shooting beloved furry family members of neigbours is NOT a sport! Please ensure that this person is brought to justice to get some form of punishment for his actions.